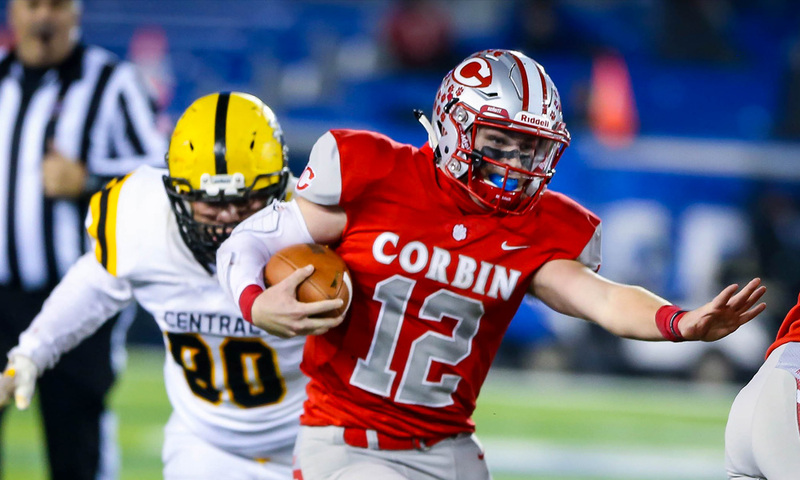 Since taking over the head coaching job in 2014, Justin Haddix’s Redhounds have been focused on one goal and that is bring the 4th state championship back to Corbin. Haddix was hired to help Corbin regain their status as one of the elites in their class. 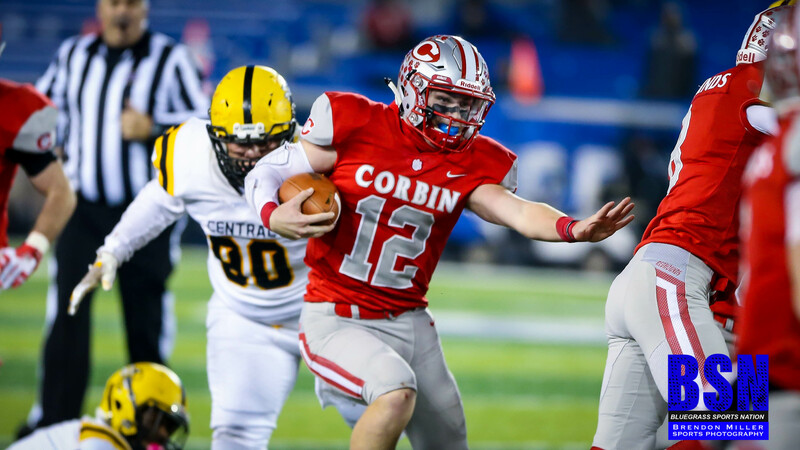 With a rich tradition that saw their first state title in 1976 under Archie Powers, the Corbin faithful were ready to be back on top of the football elite. Since being at Corbin, Haddix has worked his team tirelessly in the off season to prepare them for a deep playoff run. Not dodging any team in the regular season prepared them well for the playoffs. They made quick work of Morgan, Powell, and Bell counties in the first three rounds and then shut out one of the most talented teams in the state in Boyle County. It looked as though this may be their year. 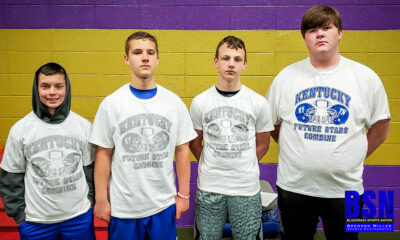 Enter the Louisville Central Yellow Jackets. 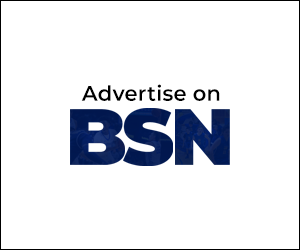 After being treated to one of the best 1A games in recent memory that saw the Beechwood Tigers pick up their 3rd straight championship against a fast Pikeville team, fans were not disappointed at the KHSAA Commonwealth Gridiron Bowl State Championships when another instant classic was played. When the Redhounds and Jackets stepped onto the field it would take the entire forty-eight minutes to decide the 2018 3A State Champion. Corbin wasted no time in marching down the field after receiving the opening kick. They scored on a Grant Gibson 1 yard dive and were up 6-0 after a missed PAT. Central struggled moving the ball against the Redhounds, gaining only 2 first downs in the first half and not reaching the red-zone. Corbin stayed on a short field for a good part of the first half, but were only able to grab points on 1 out of 3 red-zone trips. The Redhounds dominated offensively, out gaining the Jackets 208 yards to 66. The teams went into the locker room with the score still 6-0 after a great goal-line stand by the Central defense as the clock expired. Central came out of the half with enough adjustments that would allow them to eventually take over the game. Central was able to get their play makers Malik Goodall and Mykah Williams in space and able to use their speed to rack up some big plays against the Corbin defense. Central only gave up 141 yards of offense the second half as well. The Redhounds were still able to get inside the red-zone 4 times, but again struggled inside the 20, only able to convert on half of those trips. Malik Goodall scored the first touchdown of the half on a 1 yard run after a long run that saw Mykah Willilams get the edge on the Redhound defense. The PAT was no good and the score was tied at 6-6. It didn’t take long for the Redhounds to answer after Chase Estep found Treyveon Longmire for a 59 yard touchdown strike to regain the lead and get the PAT to make the score 13-6. Malik Goodall dove in for another 1 yard touchdown and Central was able to get the 2 point conversion to go up 14-13 midway through the 3rd. Corbin fumbled on the the ensuing possession and again Malik Goodall made them pay with a 12 yard run that found the end zone. After the missed two point conversion central sat on top 20-13 at the end of the 3rd quarter. The fourth quarter was a back and fourth battle that saw only Corbin finding any points. With 3:54 Estep found the end zone on a four yard run. After a time out the Redhounds were stopped on their two point conversion. After a Central punt and a Corbin turnover on downs, the Yellow Jackets were forced to punt again after running the clock down to :23 seconds left in the game and Corbin burning all their timeouts. The Redhounds had been close all night to blocking Central’s punts and finally got one at the most important time. The blocked punt gave the Redhounds the ball back with :09 seconds left on the clock from the 27 yard line. After an incomplete pass, Corbin attempted a 44 yard field goal that fell short; game Central Yellow Jackets. Corbin finished the year 13-2 and state runner-up. Knowing the Redhound Nation, they are already looking to off season workouts and more of the hard work they have been known for over the past few years to get them back in the title game next year. Good luck to the seniors who move on. 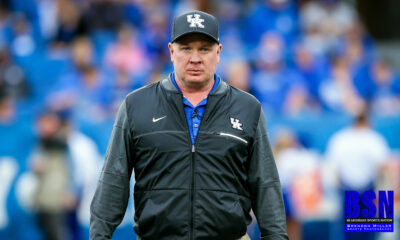 They have done their part to place Corbin back in the talks of elite programs in the state.